What was some of your first cell phones...before the iPhone? Discussion in 'iPhone' started by macfoxpro, Oct 8, 2014. What was some of your first cell phones...before the iPhone? Mine was with GTE (now Verizon) and was the 1300 series. Then the jewel of cell phones, the Motorola STARTAC. lol. That STARTAC was nothing short of awesome back in the late 90's. I remember GTE offered a "Home Base" unit. It offered free cell coverage as long as you were within a certain range of the base unit. I think it was about a mile or so. That was until people figured out how to get free internet with using the base unit. They did away with that plan. It wasn't much longer and Verizon was founded....late 90's, I think. ha ha. Oh, the good old days. Motorola 9800. I thought it was a huge upgrade from my parents car phone..which was attached to the car. 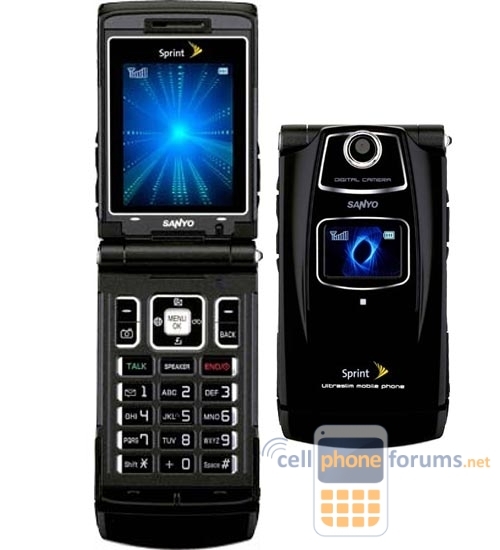 Then I went from that to the startac and thought it was SO AWESOME Had that one for years...lasted me until I went to the iphone 3gs.. I had the 5110 (i believe it's the same phone). Such a great phone. You could've killed someone with one of these if you wanted to, lol. Now i have to babysit my plus. September 21 to Present: iPhone 5, 64GB, Black/Slate. Then came the original iPhone, and Apple has kept me captive until now! Various Nokias, Motorolas and Blackberries. None of note these days. I owned all in Snake, speaking of Snake you knew you were a master when you only used the 7 and 3 buttons! Motorola Star Tac, a few different Nokias, a few Sonys, a Motorola v400 (was a very solid flip phone, IMHO), a Samsung Blackjack (I hated that phone) that I bought in the spring of 2007, and it was iPhone all the way from June 2007 onward. Had an old Sanyo flip phone. Switched to the iPhone 3G in 2009. Been using iPhone as my main driver ever since. My first phone... the Sony CMD Z1 Plus! My wife had the pink Katana, LOL! And the Diamond was cool. Only difference between it and the TP was the Pro version of Windows Mobile 6.1 and a keyboard. Lots and lots of stuff that worked on the Diamond worked on the TP. I loved my TP! Of course I bought it like only one month before the TP2 launched so I wasn't too happy about that though. I know, right??! 2,4,6,8 are for NOOBZ! candy crush aint got nothing on the snake game I played on this bad boy. Diamond came with 6.1 too. sad thing is I really wanted an Iphone back in the day but was (and still am) loyal to Sprint so I went with that and bought a (first gen) Ipod Touch. Nokia 8310 I loved this phone. I had it for a couple of years, this was in the 12 month upgrade days. There was a nokia 7210 in here somewhere as well. Sony Walkman phone. The White and orange one. Lots of Nokias and the RAZR. Sidekick (before it became a ghetto device). I remember everyone had that phone in high school! I had a ngage and then a Motorola Slvr. The Ngage was a horrible phone on a horrible service (T-mobile). I actually liked the Slvr a lot for having iTunes. Last phone I had before the first iPhone. What I meant was the Diamond had WinMo 6.1 while the Touch Pro had WinMo 6.1 Pro. And I hear you about Sprint (I'm still a customer). I got my Touch Pro because it was the closest thing I could find that Sprint was selling that remotely resembled the iPhone. I wanted one (iPhone), but I wasn't leaving Sprint to AT&T for it. As it turned out I was laughing for a while at a few of my friends because the TP had cut/paste and MMS out of the box while their iPhones did not (at that time). The funny thing is that HTC originally marketed the Touch Pro as the "iPhone killer". Which was hilarious because the screen on the TP is even smaller than the screen on the 3GS! Diamond/Touch Pro/Touch Pro 2 were great phones, but part of a long line of now dead "iPhone killers".